In 2017, the Scott County Fiscal Court master planned the 110-acre rolling grassland which is bordered by North Elkhorn Creek and adjacent to the future Great Crossing High School to address the community’s needs for more active and passive recreation. The Master Plan calls for 75 acres of the available 110 acres for recreation purposes while preserving the remaining 35 acres for future county development. 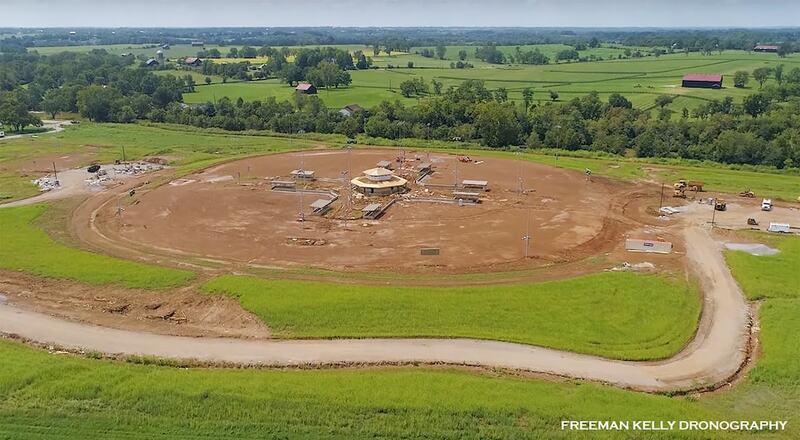 Phase I construction of the park, which will be completed in May of 2019, will feature four softball / little league baseball fields with a central concessions, press box, restroom, and storage facility. The fields will be state-of-the-art in regard to their LED lighting, subsurface drainage, irrigation, and tension wire backstop netting. 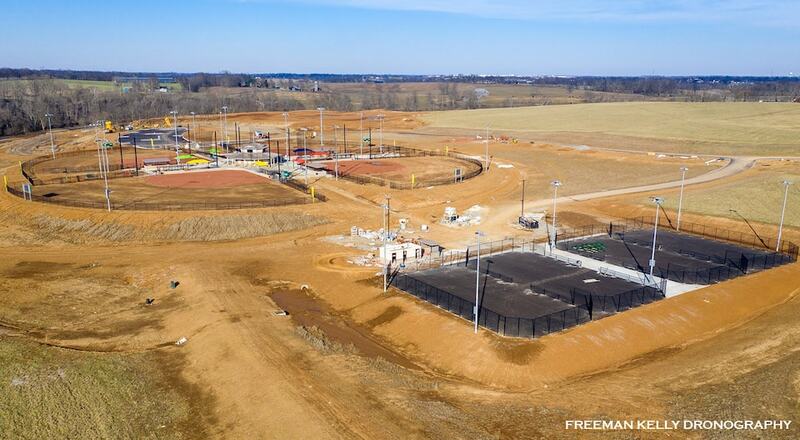 The park will also feature four tennis courts with lighting, a 4 acre dog park with fields for both large dogs and small dogs, over a mile of asphalt walking & biking trails, graded open fields for informal play, practice and picnicking, ample parking, along with the infrastructure and earthwork in place to construct four additional softball / little league baseball fields and four more tennis courts once approved by the county for construction. 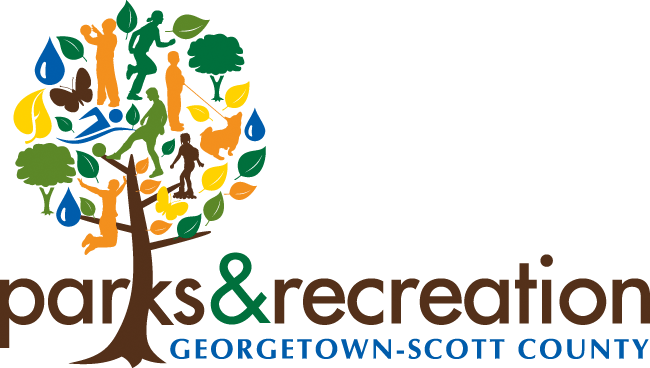 The Great Crossing Park will undoubtedly serve both the active and passive recreation needs of Scott County for many years to come. How to Get There: Located at 135 Betsy Lane, Georgetown, KY 40324.